Vendor-paid-advertising Is Not A Dirty Word: Is It? If you are confused by the acronym VPA, you’re not alone. The truth is, most of the REI and Real Estate Agents (REAs) don’t know how to properly account for this in their financial books. Most REAs are oblivious that they are flirting with deceitful conduct and are in breach of the law. For many the term or acronym VPA is not well known. Expanded, it makes a little more sense: Vendor Paid Advertising. But only a little more, particularly when the REA is asking for a commission and for a marketing fee. Agencies are in breach of the REI Regulations (S12) and the Australian Consumer Law (ACL). All because of industry ignorance: their fault stems from not disclosing and accounting the vendor paid advertising costs, properly. For most agents, VPA is a lifeline to their existence. However, the majority of agents don’t realize the gravity of their failure to account for the advertising budget paid by the vendor. As much as it is a lifeline, it can and may well be a detriment to their agency. Trust money to be paid into trust account: The agency has been "entrusted" to properly account for and utilize VPA funds. The key word is "trust". It is not REA's money. I repeat, "not your money". You could well say that VPA is an industry in itself. Many agency’s guidelines and training manuals spend a lot of their focus on, “how to get the most VPA from clients”. There are industry icons and business leaders that charge large amounts of money to train wannabe agents on how to bask in the glorious platforms of the VPA-agent kingpins. For me, the position I take is simply this. “What are agencies or REA’s offering that is so different to warrant for the vendor to pay on-top-off the commission?” Many are muted by this one simple question, and why? All because the answer is basically, not much. Not discrediting VPA altogether, I believe it HAD a purpose and served a function perhaps as early as 5-7 years ago. At a time when most buyers were only just beginning to venture into the internet to look for property. From then onward, the internet has become the lifeline of REAs marketing. The internet is the main source of generating leads and clientele to buy property. A strategy offering global exposure and at highly reduced cost when compared to print media, to obtain interest in their client’s properties. Stand-Out features, offered by the main property search-engines: Are these features necessary to warrant for vendors to pay fees almost as much as commissions? I believe the answer to both is unanimously, no. In light of my discussions with colleagues, it is a general consensus that VPA is mainly used realistically to “promote the agent” by way of assisting to create what is termed "listing tools". What is a listing tool? Signboards, printed glossy hard cover brochures, advertising on two page spreads in news papers are some listing tools. As many claim in the Industry, VPA funds the "listing tools" used by REAs to target their new client/vendor; or can I say victim? It's almost a poke in the eye to their current client that just paid thousands in VPA to promote their home by utilizing out-dated and very costly marketing strategies. But it looks good doesn't it and for whom? 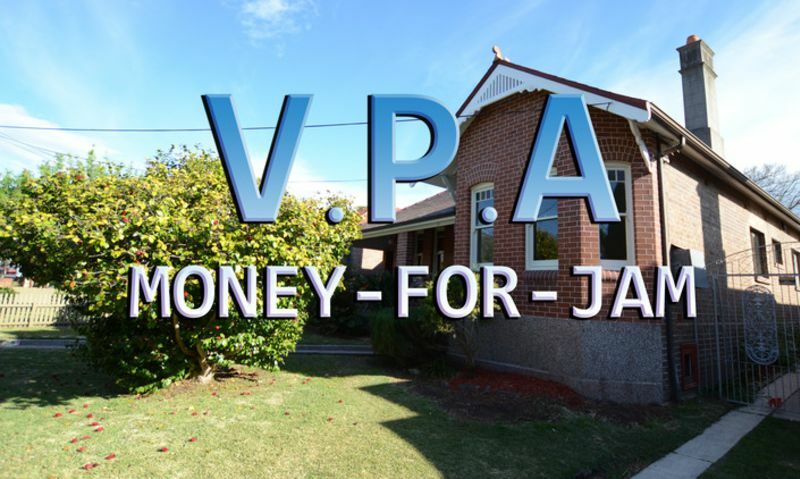 VPA serves one purpose and this is to have you pay for the tools that agents use to promote themselves and not so much your home. Wasn't this the very thing that attracted you to the agent? BINGO! a poke in the eye for their previous client that paid for all this. How big of a poke you get in return, will be based on how much VPA you hand over to the agent. The exception to the rule I believe to be more in “Commercial and Industrial Real Estate”. However, this is also quickly changing. First and foremost, if an agency receives funds from a vendor and is entrusted by the vendor for these funds to be used to advertise their property; it is deemed "vendor's-funds" and should be accounted for in the agency’s “trust account” not their general account. A practice not taught at the super giant VPA-Training Seminars. Second, and this goes back to my initial question; what is the agency offering for these extra funds (advertising costs VPA) being charged to the client? Third, is our own office belief that any funds provided by the vendor as an upfront marketing budget, the funds can be better spent on the presentation of the property. Signboards and print media is costly. Hello!!! When was the last time you searched for property in a local newspaper and drove around neighborhoods until all hours of the night, looking for signboards? Advertising on the internet is costly. Yes it is, but every business has a cost to market itself and its products. Aren’t you receiving a commission to provide a service? If we were to break it down to hours and service, a typical agent's fee would equal to $950/hour. How do you like them apples? We can’t break/split costs across all our properties and it’s difficult to manage. The new Australian Consumer Law (ACL) makes provisions to account for every expenditure to the client and in detail. Along with this is the requirement of disclosure of third party benefits received by the agency. The benefits come in the form of kickbacks, commissions and other fees paid to the agency. These come from service providers of: printing, news paper advertising and even online advertising and fees can come back by way of cash and even shares. I have been criticized in the past for questioning the collective voice of the REI that we are not being paid enough and therefore VPA is critical to run a business. Placing the legislative requirements on how to account for VPA to one side, but not dismissing these, lets look at the numbers for a second. The numbers detailing fees charged by VPA advocates and in conjunction with average commissions. Median property values approximately 3 years ago and average VPA charges. Current values 2015. Median home property values and average industry VPA charges. Where will the money go to? General account or the Sales Trust account? What are the individual costs for each proposed marketing idea/service that you recommend to be adopted? Simply refuse to pay for VPA and look for an alternate REA that will provide the same level of service without the added VPA costs. Property-Staging services: to showcase the home. Cosmetic make-overs of property in preparation for the marketing. It's the simple things that matter and first impressions count. The most common rebuttal used by the VPA-agent is: if you want better exposure than your neighboring competitive listing, then we need to make your listing stand out. If the agent/agency is more focused on a signboard and local print advertising to make your home stand out, just remember this; signboards mainly advertise the agent not your property. Now pour yourself a cup of coffee and enjoy a fun video we produces some years back. Thanks to George Rousos: Training Manager and Director of Industry Training Consultants "RTO", for being a sound-board and help with interpreting the legislative requirements for the industry.